Aspen Life Settlements is a highly regulated company in a highly regulated industry. Located in Meridian Idaho, we specialize in purchasing whole life insurance policies. We are THE option for policy owners looking to sell their policy instead of surrendering it to the insurance company. We allow policy owners to retain a death benefit, and when they pass, their heirs receive the payout minus any current cash values. We have a whole new service for you as an agent and your clients. Agents working with us can finally offer an optimal sale option for clients who need to surrender a whole life policy, regardless of age or health. We are a company that can help you keep your persistency up on your policies by offering a quick, easy, and effective way for whole life policy owners to stop paying their insurance premiums. 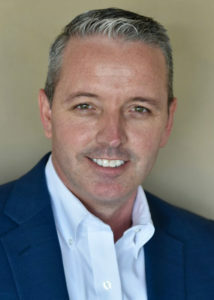 Kirk Stafford is the president and founder of Aspen Life Settlements. He’s had a passion for economics, investments, business and personal finances for over 25 years. His early grasp of business and finances allowed him to start The Stafford Corporation — a successful business that, combined with successful real estate and securities investments, allowed him to retire at age 32. After feeling that he was not mentally ready to retire, and seeing another opportunity to contribute, Kirk decided to combine his talents and knowledge in the areas of finance and investing to continue to help serve the needs of others like you.